Joyce Barnett is a great example of how the Senior Community Service Employment Program (SCSEP) at NARCOG is designed to work. Through our agency, adults 55 and older with employment challenges are provided with employment training opportunities at local community service or governmental agencies. Program participants are given the opportunity to learn and develop new skills and increase their confidence as well. Joyce shared that she first learned about the program through an article in the Retiree and Senior Newspaper published monthly by the Cullman Commission on Aging. “I learned how to do permits for the landfill and yard sales and I learned to do business permits and licenses”, said Joyce. This worked into her becoming an assistant to Mayor Kenneth Nail. 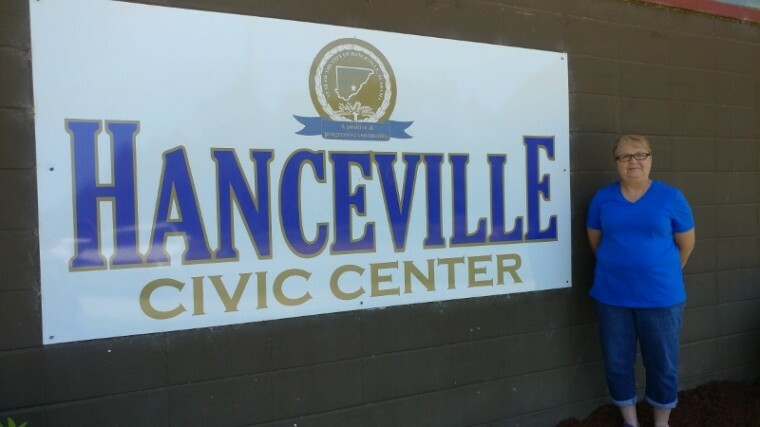 After working in the SCSEP program for 14 months, the City of Hanceville hired Joyce to manage the Hanceville Civic Center. She coordinates events at the center and still helps the Mayor and Public Works Director. “Working with the NARCOG program allowed me to get on the Library Board and the Mayor has appointed me to the ACE community leadership team too”, she said. Employment with the City of Hanceville has afforded her the freedom she needed to schedule activities and provided the ability to accommodate her health needs. The goal of the SCSEP program is for participants to remain in the program temporarily while they develop new skills and seek employment outside of the program.